Total Drilling, established in 2000, is an Australian owned and operated Geotechnical & Environmental drilling company based in Newcastle in the Hunter Valley region of New South Wales. Total Drilling has undergone planned and steady growth, and currently operates some of the most modern and technically advanced drilling rigs in the state. Total Drilling has lead the way in the development of innovative drilling equipment with advanced safety features. The company operates a large engineering workshop, which enables research and development to be carried out on an ongoing basis. All rigs are fitted with emergency shut off switches and safety cages and are Coal Mine compliant. 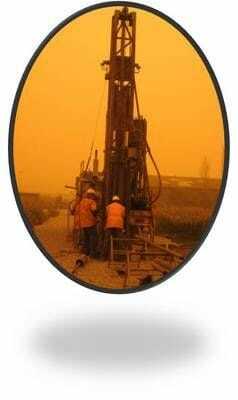 Total Drilling have the capacity and expertise to drill to depths of 250 metres. We can offer Solid Flight Auger, Hollow Auger, Air Hammer, Sim-cas Casing Advancer, Mud Rotary, Pushtube, Nmlc, NQ3 and HQ3 diamond core. All terrain and all wheel drive vehicles can get our equipment to the most difficult and remote sites to carry out drilling projects. Total Drilling is committed to continuous improvement and industry best practice. Our prime objective is to provide a high quality, diverse, innovative and reliable contract drilling service to all sectors of the industry. Whatever your project, whatever the location, you can rely on our promise of quality, safety and performance.